My co-worker gave me a toy alpaca - made out of real fluffy alpaca fur - for Christmas. My boss suggested that Cornelius T. Monkey might enjoy riding him. Al and Corny greeting visitors at the reception desk. 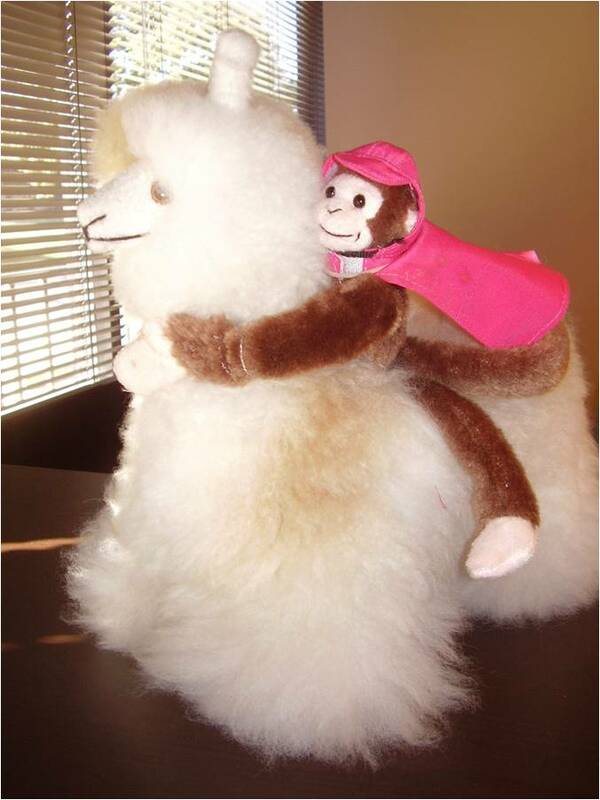 There's nothing quite like walking into an office to find a monkey riding an alpaca.